An exhilarating day packed with adventure and adrenaline. Enjoy Grade 3+ rapids, as well as your safari up the mountain, giving you a taster of traditional village life and the magnificent scenery of this special area. This trip runs daily from April to October . 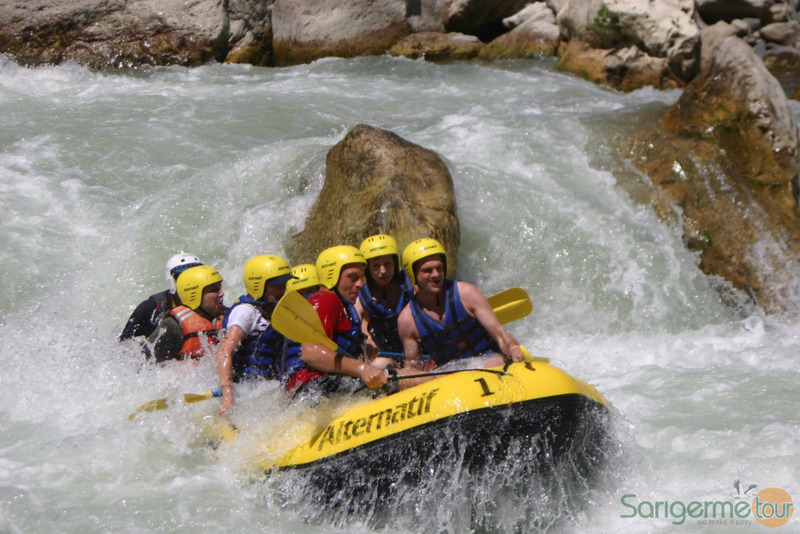 Dalaman river, being the best river for white water rafting in Southern Turkey. The river flows all year round, being at its most challenging in the spring time, and consists of rapid, then pool, rapid, then pool and so on; the rapids being of grades 3 and 4; the pools allowing plenty of time to relax, swim, and having a stop for eating a special lunch.